Professor and researcher in the areas of social innovation and moral development in organizations of the Department of Public Administration and the Post-Graduate Program in Administration of the Center for Socioeconomic and Administration Sciences, State University of Santa Catarina (ESAG / UDESC). His research interest are ethics, virtues and moral development in organizations, social capital and networks, entrepreneurship, and economic life and religion. He is the author of the book “Multidimensional Management for Vision Executives” (Editora Ideias & Letras, 2015). He did his degree in Economics and Business Administration. Obtained his Master and PhD in Administration. He currently teaches courses in Public Administration, Economics in the ESAG Academic Master’s degree. He is Academic Director of FEAN – Faculdade Energia de Administração e Negócios. Areas of interest: Research Methods, Evaluation Methodologies, Public Policies, Ethics, and Economic History. PhD in Administration, in progress, on of Public Administration and Society, at the Center for Socioeconomic Sciences of the State University of Santa Catarina (ESAG / UDESC). She is a participant of the Research Center on Social Innovations in the Public Sphere (NISP). 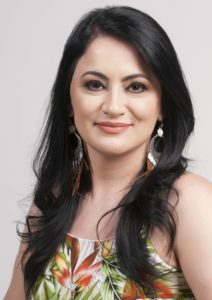 She holds a Master’s degree in Administration from the Postgraduate Program in Administration of the Federal University of Santa Catarina PPGA / UFSC (2012) and a degree in Public Administration from ESAG / UDESC (2009). She is interested in studies on rationality in organizations, ethical tensions, moral dilemmas, public management and organizational studies. PhD in progress in Administration on ESAG / UDESC – (2016-2020). where she receives a scholarship from the university. He holds a Master degree in Administration – Public Administration Line – in 2015 at ESAG / UDESC and an MBA – Executive in Financial Affairs – Fundação Getúlio Vargas (2006). Her graduation in Administration was held at the Community University of Chapecó – UnoChapecó (2004). She has experience as an entrepreneur and in the administrative and financial area in public bank, with emphasis on the management of the relationship with the client. She participates in the Nucleus of Social Innovation in the Public Sphere (NISP), a research group linked to his university since 2014. His research interests involve ethics in organizations in the perspective of moral virtues, as well as moral development and dilemmas in Administration, In the public and private sectors. Felipe Flôres Martins is a doctoral student in Administration by the Post-Graduate Program in Administration of the Administration and Socioeconomic Sciences Center at State University of Santa Catarina (ESAG/UDESC). He holds a Master’s degree in Business Administration (Organization and Society), an Executive MBA in Corporate Finance and a major in leadership in the city of Dallas in the United States. He also has experience as a business/financial consultant, where he worked and was a partner in consulting companies. He is currently a partner of M7 Consultoria Empresarial. He also teaches the subjects of financial administration and financial evaluation of investments in the University of Vale do Itajaí. He also teaches in MBA courses in Corporate Finance and Business Management. He is a researcher of the Strategy and Performance Studies Group – GEEP – Univali/CNPQ, as well as, participates in the NISP/CNPQ study group of ESAG/UDESC. Has interest in the areas of Ethics and Finance; Political sciences; Strategies and Political Connections; Theology; Agency Theory and Moral Development Theory. Doctoral student in Business Administration with emphasis in Public Administration and Society, at State University of Santa Catarina (UDESC), in which takes part of the research center in Social Innovation in Public Sphere (NISP). Master in Business Administration with emphasis in Finances and Accounting, from Federal University of Rio Grande do Sul (UFRGS). Professor of Federal Institute of Education, Science and Technology of Rio Grande do Sul (IFRS) in the areas of Finances and Organizations. She has professional experience in the business sector, but nowadays she is working at the academic field. She has worked as a professor at University of Caxias do Sul (UCS) and UFRGS, in disciplines on Finances and Organizations. She has also worked with undergraduate distance learning, as a polo coordinator of the course of Administration (UFRGS-UAB/MEC). Her interests are in the areas of Public Administration, Finances and International business, nowadays her research focus is in Ethics, Virtues and Moral dilemmas in Business Administration. Lucas Carregari Carneiro is a doctoral student in Administration by the Post-Graduate Program in Administration of the Administration and Socioeconomic Sciences Center at State University of Santa Catarina (ESAG/UDESC). He holds a Masters degree in Business Administration (ESAG/UDESC) and bachelors degree in Business Administration at the Federal University of Santa Catarina (UFSC). He has experience as a consultant for the Center for the Reference in Innovative Technologies (CERTI), within the Centro de Economia Verde, where he has developed works focused on the economic sustainability of conservation units, sustainable territorial development strategies for tourist destinations and business innovation models for Conservation of nature. He is currently a researcher at the Nucleus of Social Innovation in the Public Sphere (NISP), where he develops his dissertation on moral dilemmas in administration and the influence of spirituality. He also lecture Philosophy, Ethics and Project Management disciplines. Master’s Program in Administration, in progress, on ESAG / UDESC – (2016-2018). He holds a degree in Administration, Emphasis in Marketing, in 2014 at the UFRGS, Federal University of Rio Grande do Sul. He has experience as an entrepreneur in the Foodservice area. Participates in the Center for Social Innovation in the Public Sphere (NISP), a research group linked to Udesc. His research interests involve ethics in organizations, entrepreneurship and social innovation. Master’s Degree in Administration, in progress, at the University of Santa Catarina – ESAG/UDESC (2017-1019). He is under graduated in Social Communication at the University of São Paulo (USP), and Specialist in Education at the Uninter International University Center. Participates in the Center for Social Innovation in the Public Sphere (NISP), a research group linked to Udesc. His research interests involve ethics in organizations and gamification. competence in decision makers in Non-Governmental Organizations (NGOs). Graduation student in Public Administration at the Center for Socioeconomic and Administration Sciences, State University of Santa Catarina (ESAG / UDESC). Doing a scholarship in the Research Center on Social Innovations in the Public Sphere (NISP), has done a interchange program for one semester at the National University of San Marcos (Lima, Peru), studying subjects from the educational area. He has interest in studies on Ethics, Education and Political Science. Graduation student in Public Administration at the Center for Socioeconomic and Administration Sciences at the University of Santa Catarina. She is under graduated in Industrial Design (2014) at the Arts Center of the University of Santa Catarina. Participates in the Center for Social Innovation in the Public Sphere (NISP), a research group linked to Udesc. Graduation student in Public Administration at the Center of Socioeconomic and Administration Sciences at the University of Santa Catarina (ESAG / UDESC) and graduation student in Law at CESUSC College. Participates at the Research Center on Social Innovations in the Public Sphere (NISP). Has dond Work Experience for three months seeking the improvement of the English language. Her interests are in the areas of Ethics, Virtues and Moral Dilemmas, Arbitration and International Law.